A is for the Armpit of the Earth: This would be an affectionate name for a really tough posting that will only be undertaken by the most badass of expats. It’s a term to describe the furthest flung, most chaotic, challenging and maddening places on the face of the planet. A is also for Airplanes and Airports, we often become overly familiar with these. Any glamour we previously associated with international travel will quickly lose its’ shine, especially if frequently travelling solo with young children. 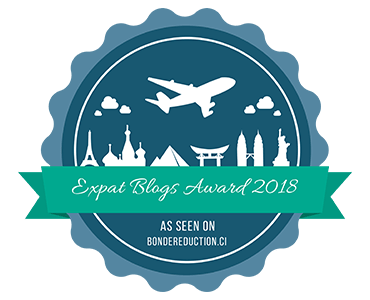 B is for Badass Expat – Are you a badass expat? Take this quick quiz to find out. 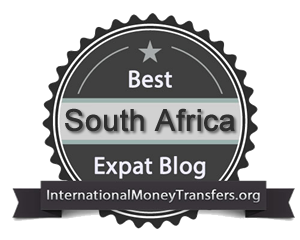 Are you a Badass Expat? C is for Customs Officials. We smile politely at the customs officer, no matter how tired, ratty and disheveled we are, because woe is us if we encounter a surly jobsworth and we’re not being polite and respectful. C is also for Charity. Many expat spouses do much for charities and good causes in their host countries. D is for Domestic Help. In some locations it is the norm to have help in the house. Some expats see it as a massive perk, others as a gigantic millstone. For many it is a mixed blessing where sparkling homes and crisply ironed shirts must be weighed against cracked cups and shrunken sweaters. Then of course there are the underlying moral dilemmas that arise in the relationship between you and your helper. What it is fair and right to pay them? How far should we intercede or become involved with their personal problems? It can all get very tricky. D is also for Dung Beetle check the link to find out the surprising ways in which expat partners are like dung beetles. E is for Excess Baggage. Airlines have clamped down over the years and many now carefully weight and measure you hand luggage. In years gone by, we were all experts at balancing overstuffed bags on our little fingers, demonstrating to the nice check-in clerks (sweet smiles nailed to our faces) that there was no possible way our bag could be overweight. F is for Frustration. However lovely, exotic, romantic or totally freaking amazing your overseas home from home is, there will be days when you want to rip your hair out with utter frustration. If you’re an expat, you will know what those worst of days are like, the internet goes down, your best friend moves, the traffic police pull you over and give you a hard time and then the water goes off just as one of your kids goes down with a tropical vomiting bug. F is also for Facebook Groups (love them or loath them, they have become part and parcel of expat life for finding out the who, what, where, when and why of your new location as soon as you arrive) and for Friends at Hand – NEVER look a gift horse in the mouth and NEVER EVER turn down a phone number or offer of help from a fellow expat in those critical first few days, no matter how overly friendly and stalkerish this might appear to you if you are a brand new expat. G is for Gin and Tonic. Gin is having a bit of a global moment, everybody’s drinking it, distilling it or selling it, but there is a strong and longstanding association between G&T’s and expats. Expats are known for drinking G&T’s. H is for Homesickness. It’s normal to be homesick, whether it’s for your home-home or your previous posting. It can be occasional or ongoing, but most expats realise it’s part of the deal and find coping strategies. There are also a few expats that don’t try to overcome their homesickness and flee home after a very short amount of time. I is for Itchy feet. However wonderful your home country is, however amazing your host country is, for many expats there is always curiosity to go somewhere new and challenge themselves again when life gets too “easy”. Their feet start itching and they start looking for the next opportunity in a new location. I is also for International School. Sorting out schooling in your home country is one thing, jumping from system to system every time you move country is an even bigger headache faced by expat parents. J is for Juggling. That would juggling be 2 or more phones, credit cards, addresses, languages, timezones, school systems, currencies, homes, climates…. Brain melt. J is also for Jacarandas. The beautiful jacaranda trees we’ve admired every spring in Johannesburg share some surprising similarities with expats. K is for Kisses. The international social kiss is a cultural conundrum. One kiss, two kisses, three kisses, more? In repressed Britain, we don’t normally do the kissy kissy greeting at all, but in many other countries and expat communities it’s a given, you just have to work out the correct combination of kisses/handshakes/hugs/nods and so forth. The really hilarious part for us is when we return to conservative Britain and go in for the kisses with new-ish acquaintances and they immediately take a confused and mildly offended step backwards simultaneously thrusting a hand forward for an awkward handshake. K is also for Knickers. Yes, I said knickers. Buying knickers and other underwear is one of the lesser known challenges of expat life! L is for Looksee – Before agreeing to move to the armpit or ars*hole of the world, corporate expats are often offered a looksee (also known as look and see or a pre-assignment visit) to scope out whether they truly know what they are signing up for and are prepared to commit the coming years of their lives to living there. It also gives them the opportunity to choose a school and possibly a home. L is also for Locationship, a unique kind of friendship often formed during an expat posting. M is for Moving. We are the kings and queens of decluttering, packing boxes, and sorting things deftly into separate piles for air shipment and sea freight meanwhile keeping aside everything essential for for the coming 6-12 weeks in our suitcases. These essentials could include clothing appropriate for the tropics, clothing appropriate for snow, clothing appropriate for a ball, toys and favourite cuddly toys for any children you have, unexpected last minute farewell gifts, precious school work and end of year reports. Oh, and don’t forget the special souvenirs that you should have bought before the container left and didn’t get round to and thus have to cram it in with all your other essentials. We also arrange to sell the car, organise travel vaccinations, make sure we are travelling with birth certificates, marriage certificates and other important documents. We say goodbye to everyone and everything we have know for the past few months or years and then cry all the way to the airport. Easy peasy. Sorry, you say you popped to (insert name of country we’ve just moved to or are just about to move to) on your gap year and you can imagine exactly what it’s like to to do a big international move? Well you can’t, I’ll see your backpack and raise you a 40ft container. Don’t forget to read Part II of the Expat A-Z – From New to Zoo. These are all very true! Wayyy to much time spent in airports, but it’s all worth it. Thanks Amanda. Yes, way way way to much time in airports, especially when it all turns to custard and there are delays and detours, but it’s all part of the experience and (usually) makes for a good story in the end. Quite a few interesting things, and it wasn’t even an international airport!